Art-Net, sACN E1.31, KiNET, and Hue! KiNET is a lighting control protocol owned by Philips and is used in their Color Kinetics line of products/power supplies. CK power supplies and LED nodes have a wide range of uses and purposes, and are frequently utilized in architectural type applications. Many famous landmarks around the world, like the Empire State Building and more, rely on Color Kinetics products (and KiNET) to drive their beaufitful lighting displays. 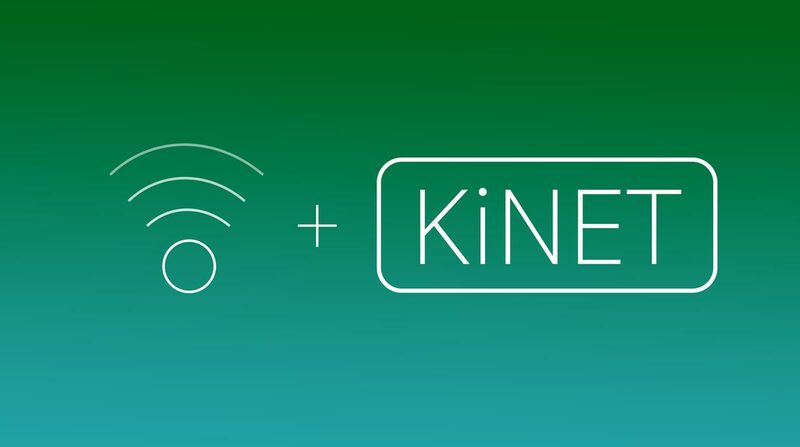 KiNET support in Luminair means you can now control Philips Color Kinetic power supplies natively from the app using either KiNET v1 or v2 packets. Again, this is simultaneous with the other protocols that Luminair already supports (Art-Net, sACN E1.31, and Hue) so you’re free to mix and match. Luminair is an equal opportunity controller. Also new in v3.2 is a 3D Touch menu on iPhone 6s and iPhone 6s Plus devices. 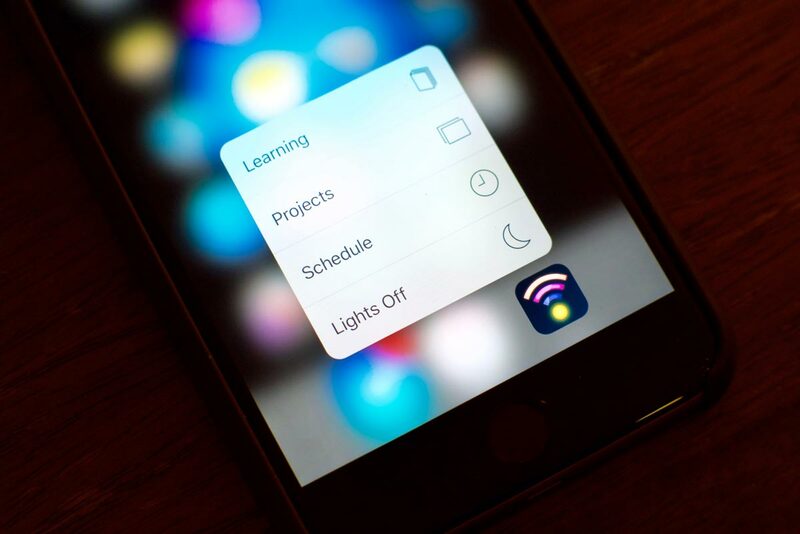 The new menu allows you to quickly toggle lights on/off, access the current schedule, as well as quickly open the projects or learning view right from the iOS home screen by simply force touching the Luminair icon. We’ll be exploring other forms of 3D Touch technology in future versions, and can’t wait for Apple to eventually introduce this to iPad devices. We’ve also been listening to your feedback and have added back some features from v2 that didn’t make it the initial v3 release: HTTP File Transfer mode, as well as the ability to keep the current controls mode scene selection in sync with the selection during full-screen sequences mode. ©2008-2018 Synthe FX. All rights reserved.